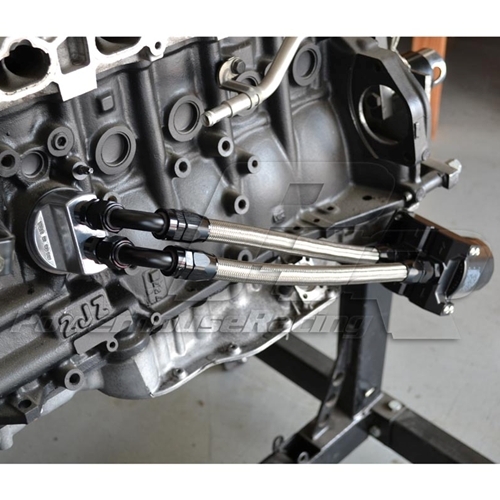 Take a look at the new XTM OIL FILTER RELOCATION KIT for our latest oil filter relocation kit. Click the link to check it out! 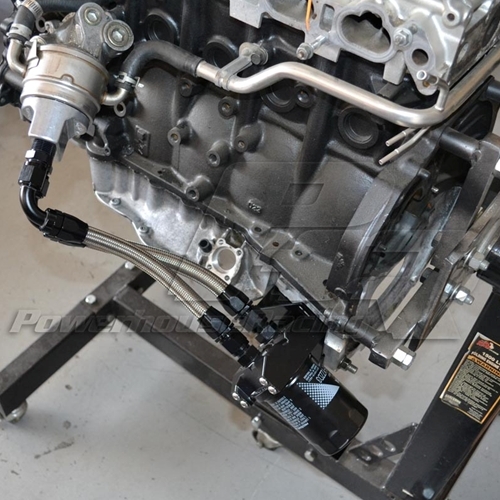 PHR is glad to offer a legitimate solution to the problems of the factory oil filter location. If you have ever changed the oil on a MKIV Supra you know how much of a hassle the oil filter is to remove. It creates a huge mess as well with oil dripping everywhere, there is almost no way for this not to happen. By using the PHR Oil Filter Relocation Kit, your oil filter is moved to the rear near the transmission, making access painless and clean. 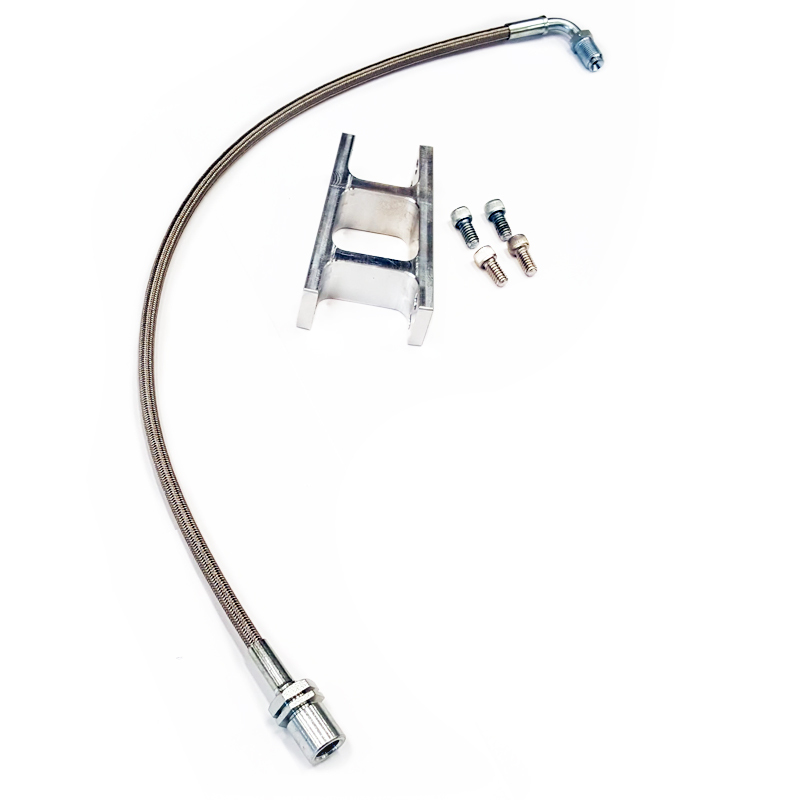 The PHR Oil Filter Relocation Kit offers true AN style hose ends and stainless steel braided lines. Other kits rely on cheap worm-gear hose clamps. With the safety of your very expensive motor at hand, don't trust any other kit. PHR offers reliability and quality unmatched anywhere. Available in your choice of several different hose configurations and colors. If you are NA and you never had a factory oil cooler, you factory oil filter housing will be removed and you will use it using the configuration WITHOUT factory oil cooler.